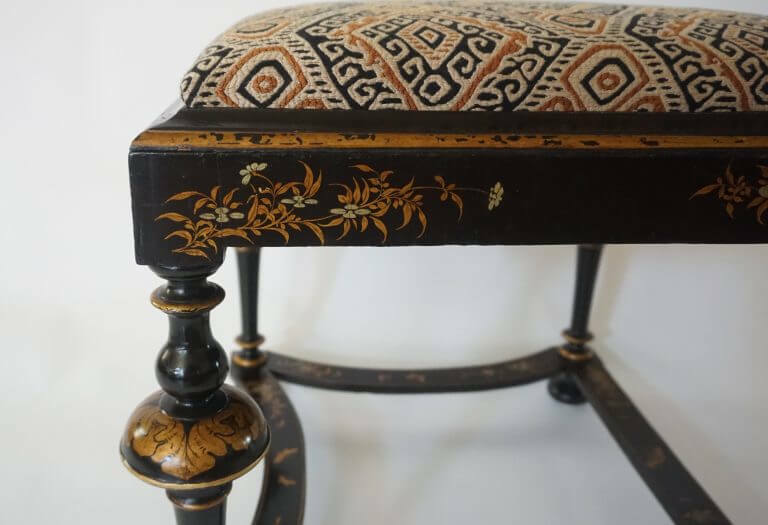 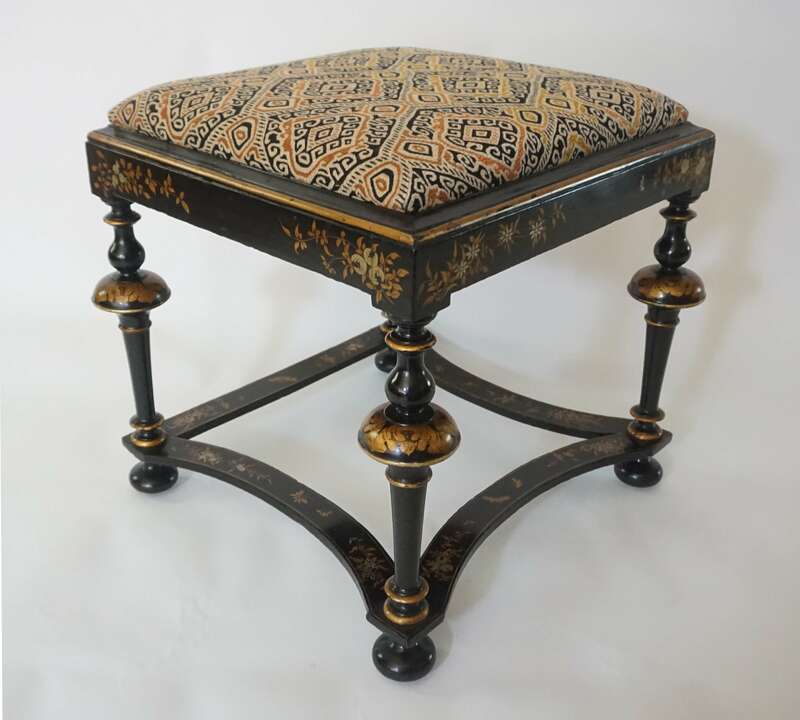 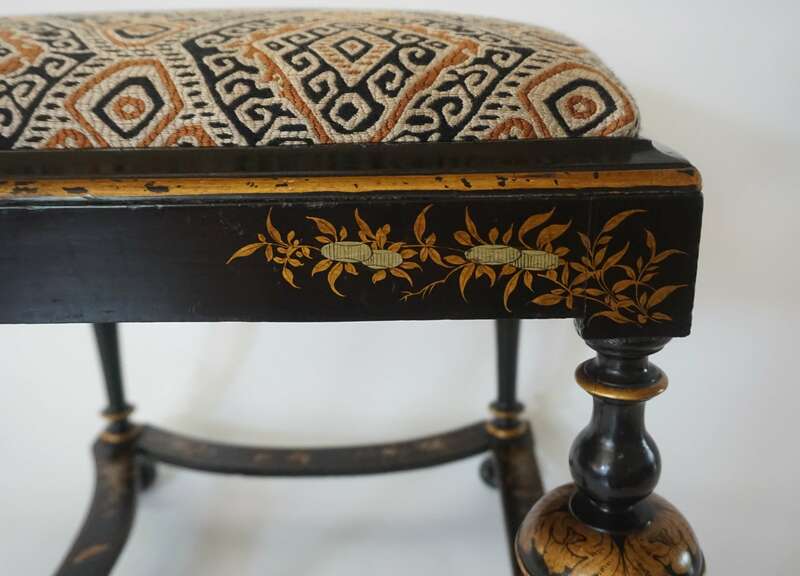 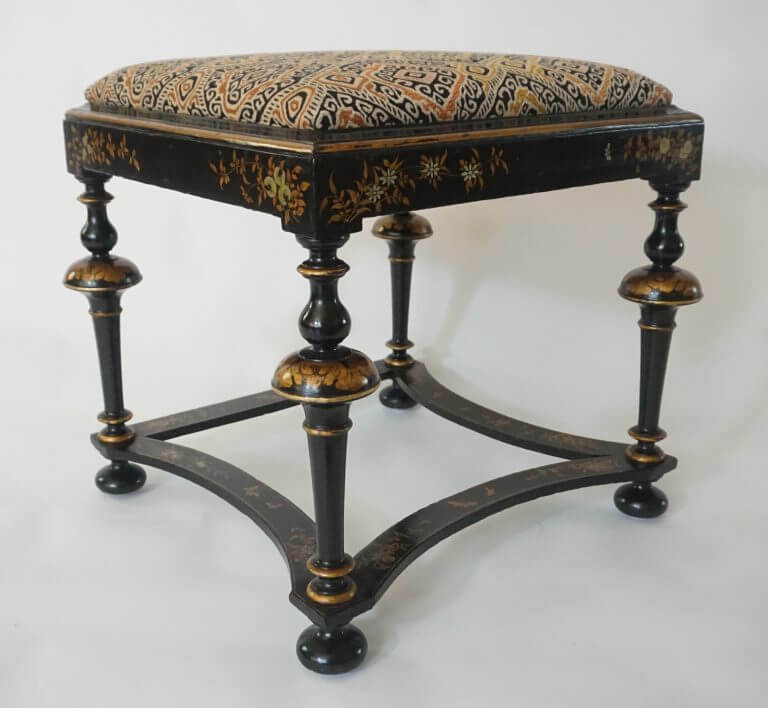 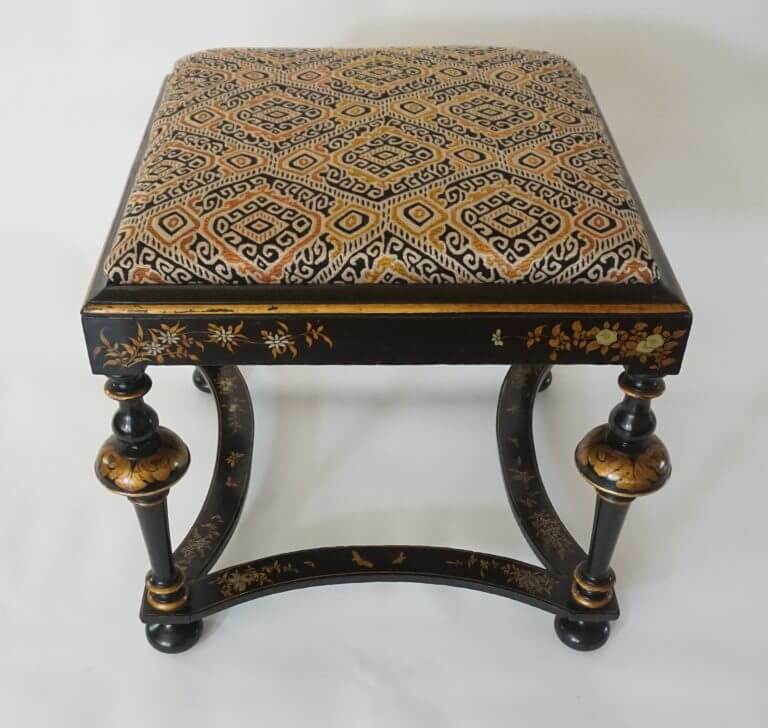 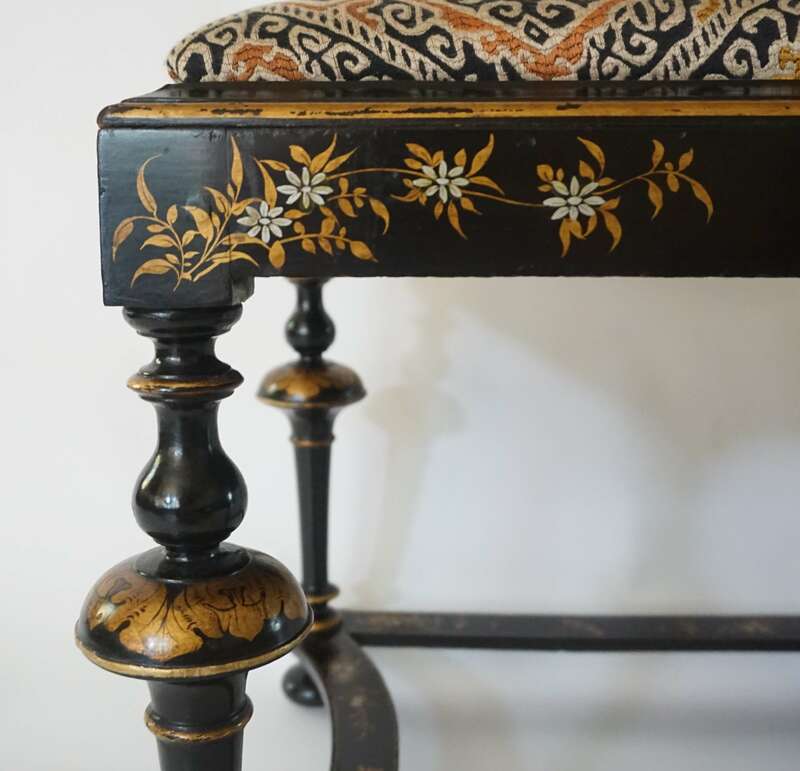 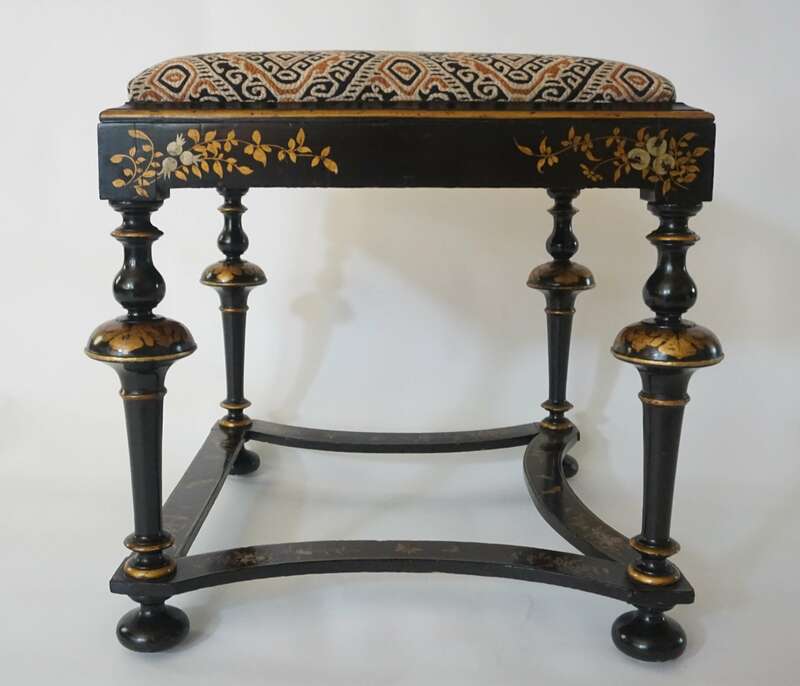 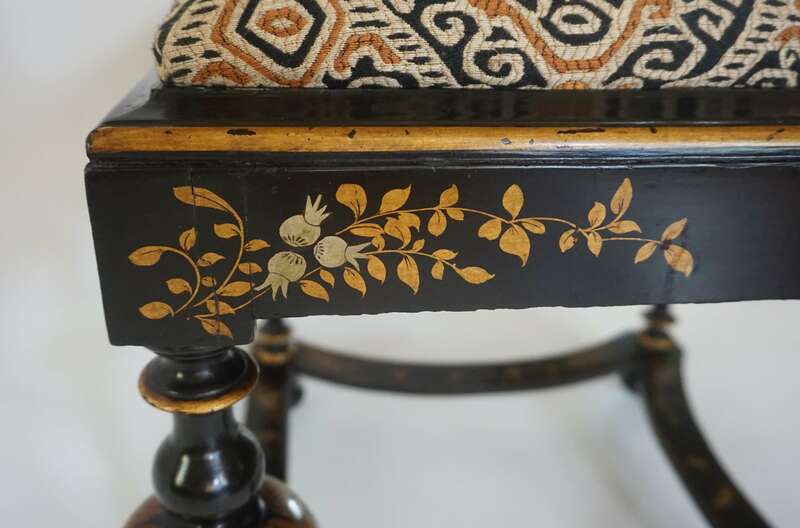 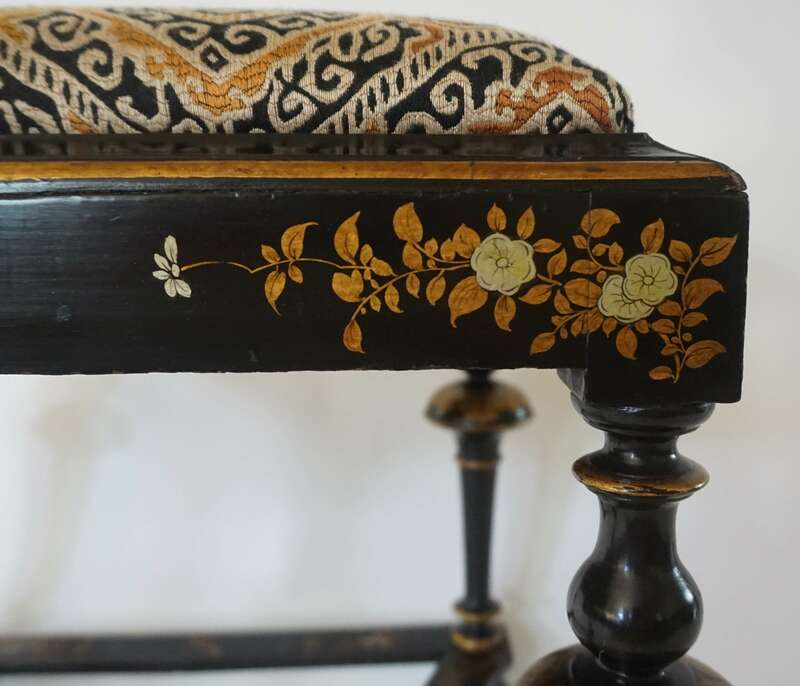 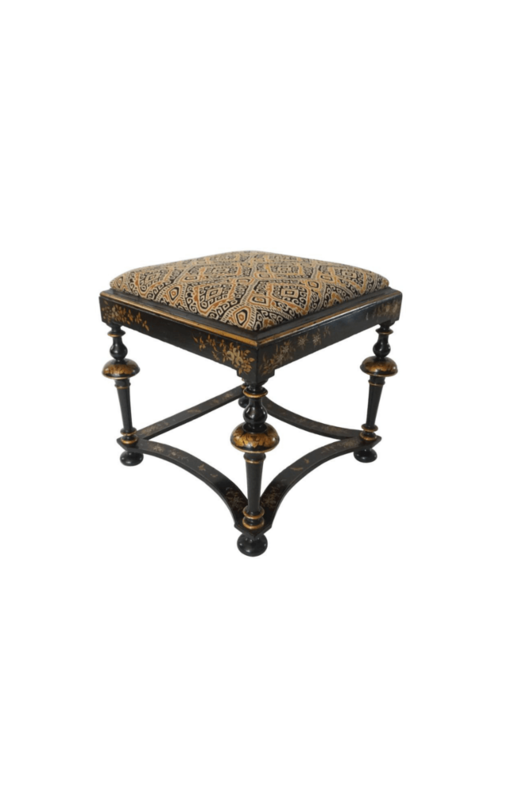 English circa 1925 William and Mary style black lacquer low stool or tabouret having gold and silver gilt japanned chinoiserie foliate and insect decoration on wood frame having square upholstered seat surmounting flat seat-rails on dramatic turned supports joining shaped stretcher bars on turned bun feet. 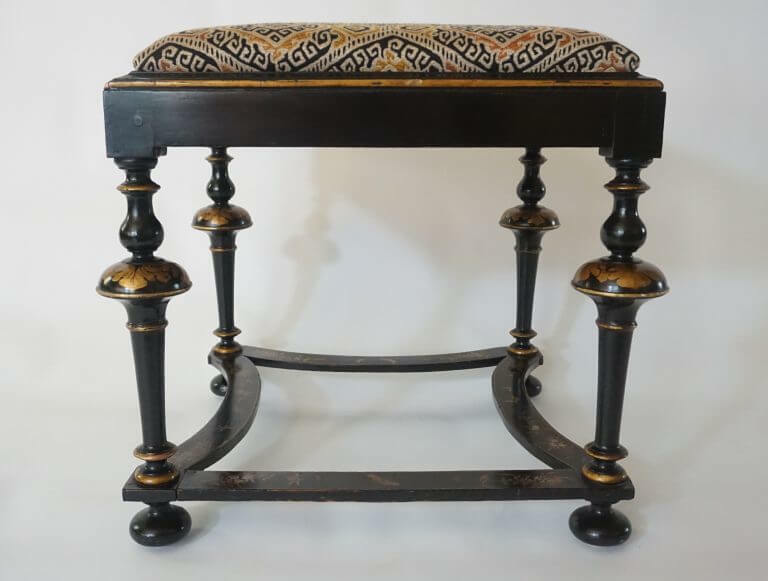 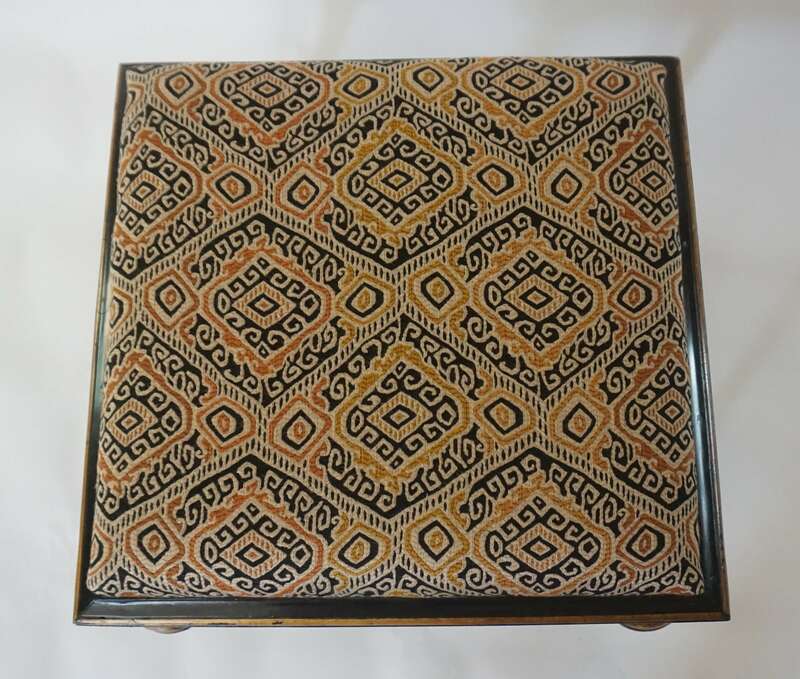 Seat newly upholstered in "Inca" by Quadrille. 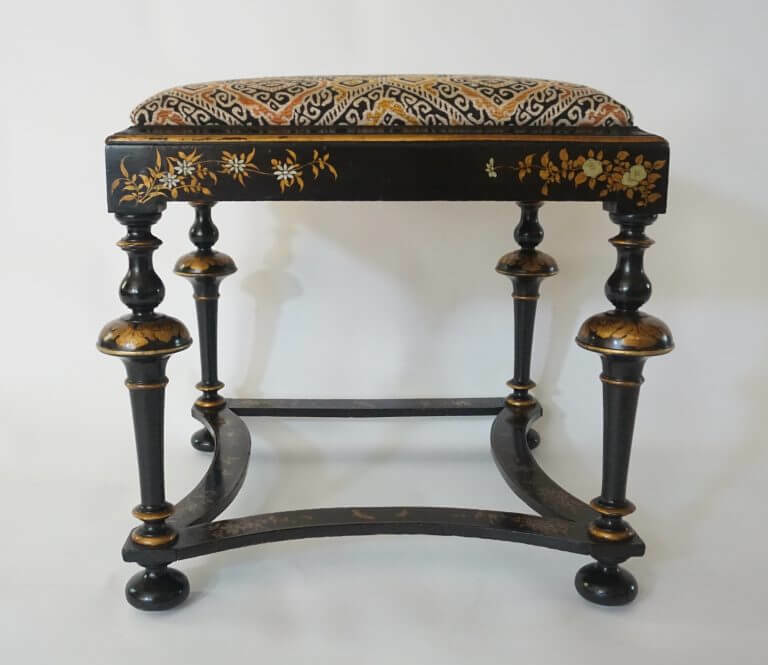 English circa 1925 William and Mary style black lacquer low stool or tabouret having gold and silver gilt japanned chinoiserie foliate and insect decoration on wood frame having square upholstered seat surmounting flat seat-rails on dramatic turned supports joining shaped stretcher bars on turned bun feet. Seat newly upholstered in “Inca” by Quadrille.